Hardwood floors are used in a variety of settings within a home because they provide natural beauty in any room and they are also very durable with the proper care and maintenance. If you have wood floors, hardwood floor care should be a major part of your house cleaning routine to help keep the wood looking its best by preventing wear and tear on the surface and finish. For as durable as wood flooring is, it is very susceptible to surface damage that you could be causing inadvertently with certain behaviors. 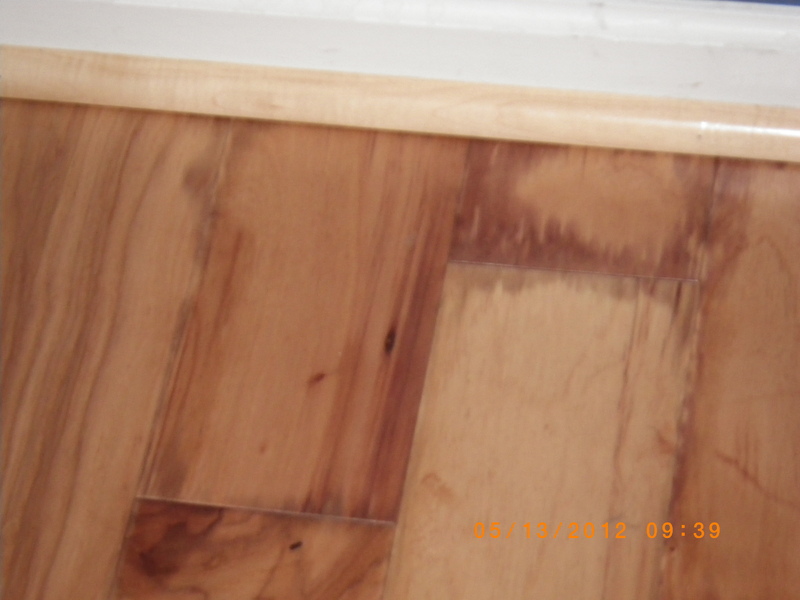 Make sure you avoid these common behaviors to help prevent damage to your hardwood floor. It is easy to overlook the importance of a welcome mat but they can go a long way in preventing hardwood floor damage. When you walk in from outside, you track in dirt and debris that can be abrasive against the wood floor and get embedded in the crevices. Over time, the abrasiveness of the debris can lead to scratches and the accumulation of dirt and debris in the crevices can cause the finish to wear out. Putting a welcome mat at every entrance can help prevent debris from reaching your hardwood floors. Area rugs are a great compliment to hardwood floors but they can easily slide around on the slick surface. Some people may solve this problem with double-sided tape or rug pads but both of these options can leave a sticky residue on the floor. The best option is to use a rug pad made from natural materials that will not stick to the floor. Much like an area rug, furniture often slides across wood floors which can scratch and gouge the surface of the wood. Every piece of furniture that directly touches your hardwood floor should have pads under each leg to prevent it from sliding around and scratching the wood. Excess water can damage wood floors by causing warping and discoloration but it can be difficult to control because of the potential causes. Walking into the house with wet shoes will leave water on the hardwood floor and the floor can also get wet from dog bowls, plants, and other objects. You can avoid water damage to your wood floor by wiping off wet shoes and storing them somewhere off the floor as well as by putting a rug under plants and dog bowls. When it comes to cleaning hardwood floors, mopping is the most effective method but mopping the floor improperly could cause damage. 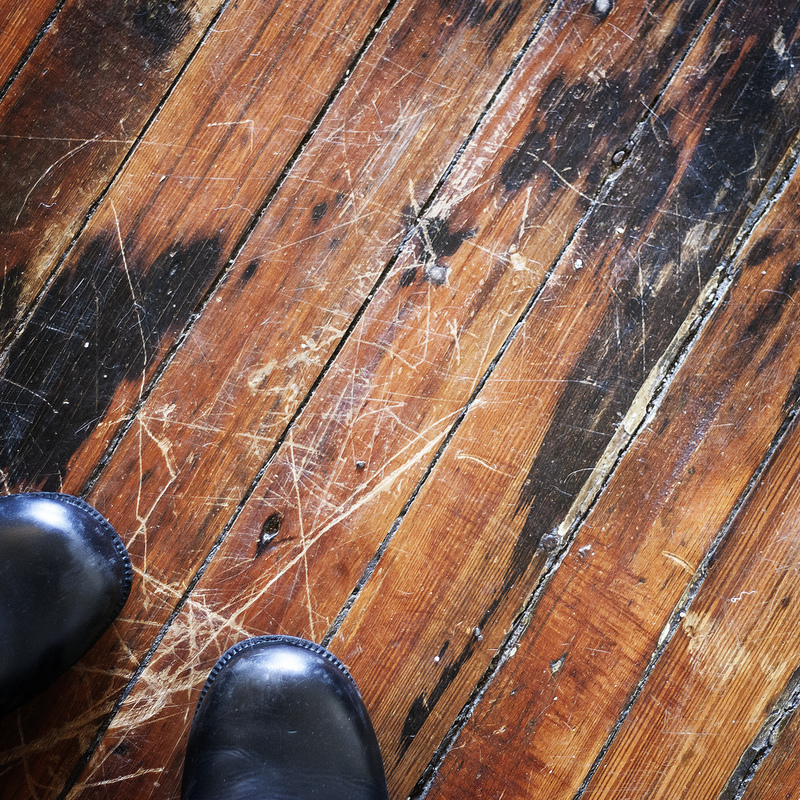 One common mistake is using too much water which causes it to seep under the floorboards where it can cause significant damage to the subfloor or lead to mold growth. The other major mistake is using a cleaning product that is not suited for the type of finish on your wood floor. Make sure you know what kind of finish you have on your wood floor to avoid the wrong type of cleaners that could cause a buildup of wax or chemicals on the floor. If you are not comfortable deep cleaning your wood floors, you can contact a professional for hardwood floor cleaning services. With regular hardwood floor care, you can reduce surface damage and regular wear and tear of the floor but providing no care for your hardwood floors can lead to damage that could be complicated to repair. If you notice small scratches to the surface of the wood, you can easily buff them out and reapply a single coat of finish. If you let minor surface damage go, it will gradually get worse until it requires sanding, re-staining, and refinishing to repair. Every homeowner wants to maintain the natural beauty of their hardwood floors but these behaviors can make the task more difficult. You can provide more effective hardwood floor care by avoiding these behaviors and properly cleaning the floor on a regular basis. If you are not confident in your ability to effectively clean your wood floor, there are professionals that provide hardwood floor cleaning to remove embedded debris and apply a protective sealer. By preserving the beauty of your hardwood floors, you can improve the appearance of the interior of your home.